Don’t Let Your Customer Service Get ‘Buried’! 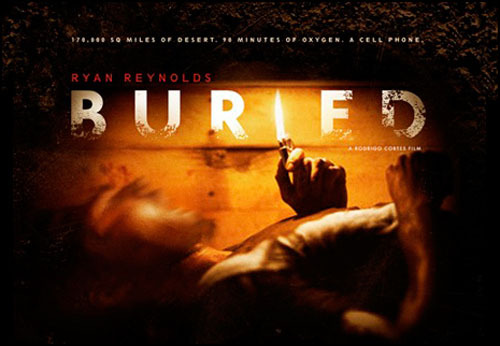 Last month saw the release of a new thriller/horror movie by Spanish director, Rodrigo Cortés entitled ‘Buried’. The point of this post hinges on you understanding that he has a cell phone, which of course he uses to try and contact the outside world, but that of course, has limited battery life. The movie sounds absolutely gripping, but here is another direct quote from the great Mark Kermode about Buried. “It’s a film about the horror of being put ‘on hold’. I have yet to see a film that so brilliantly encapsulates the annoyance, the frustration, the terror, the anguish of being ‘on hold’. Doesn’t that ring true? Excuse the pun. We’ve all had the opportunity to press 3 by pressing 2 and then being put on hold whilst being told just how valuable we are. So valuable that we can be left in a black hole for 45 minutes – thanks T Mobile! Customer care is thankfully being redefined. Those amazing CRM systems that were going to rock our world in the nineties and noughties will soon be painful things of the past. All because of the voice that we now have through social media. I’ve written before about AT&T. They have a terrible reputation in the US. When the iPhone 4 started dropping calls beacuse of the design, who got the complaints – Steve Jobs or AT&T ‘helpdesk”? OK, so Apple took a bad dose of publicity, but on the ground, customers were battering AT&T. And yet, the great thing about them is that they recognised that the days of leaving people on hold were numbered. They still did it – don’t get me wrong, but by promoting Twitter as a key customer care channel, they have shown that the biggest step in winning on the social web, is accepting the world has changed. Their strategy for using Twitter to meet their objective is still flawed – nowhere near enough resource and they clock off at 5! Poor Molly, the face of AT&T’s Twitter customer care page seems a lovely lady, with only your best interests at heart, but nevertheless has a thankless task. If there is a lesson from the last few years experiences surrounding CRM, it’s that peoples expectations are, quite rightly, rising all the time. If your wifi goes down at 3am while working on a presentation, you need help at 3.05. Customer care can’t take holidays anymore. Previous PostRyder Cup Washout – A Social Disaster and Victory All At Once !Next PostSeconds Out!